I can't seem to stop myself from sharing all my secrets with you! First it was the secret ingredient in my chili, and now I'll be telling you the genius behind my ultimate honey butter recipe. I must like you an awful lot, huh? Or else it's my dream to spread honey butter madness the world over. Could be the second one, ha. ANYWHO. You should definitely start this recipe with a batch of the world's best chili simmering on your stove. Then, whip up this simple cornbread recipe to go with it. This (along with the honey butter spread) is the perfect accompaniment to hearty, spicy chili. You've got to trust me, peeps. I wouldn't steer you wrong. Why do this, you wonder? Well, I'll tell ya. If you're using a big stand mixer, you probably don't need to bother with this step. 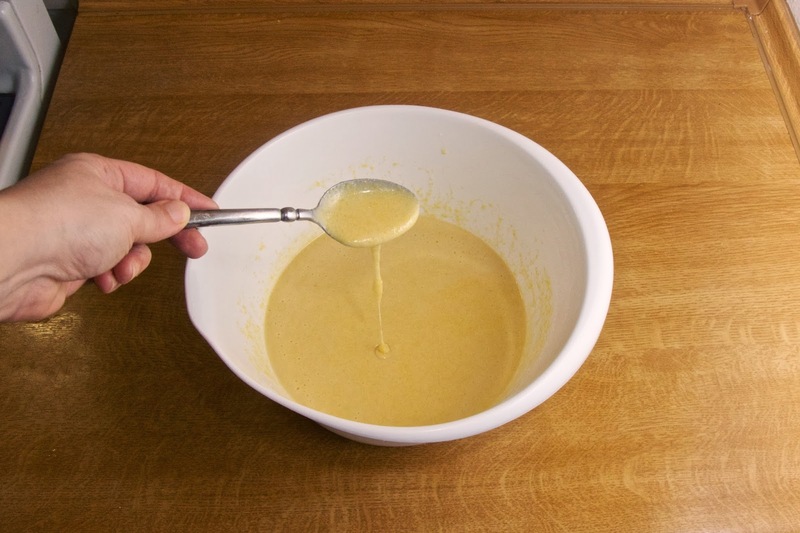 But if you're mixing by hand (like me), this method ensures an even, non-lumpy batter that hasn't been over mixed. 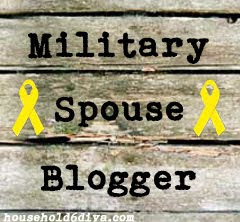 You can try mixing your batter without the well, and everything may turn out great, I just wasn't taking any chances. SO. 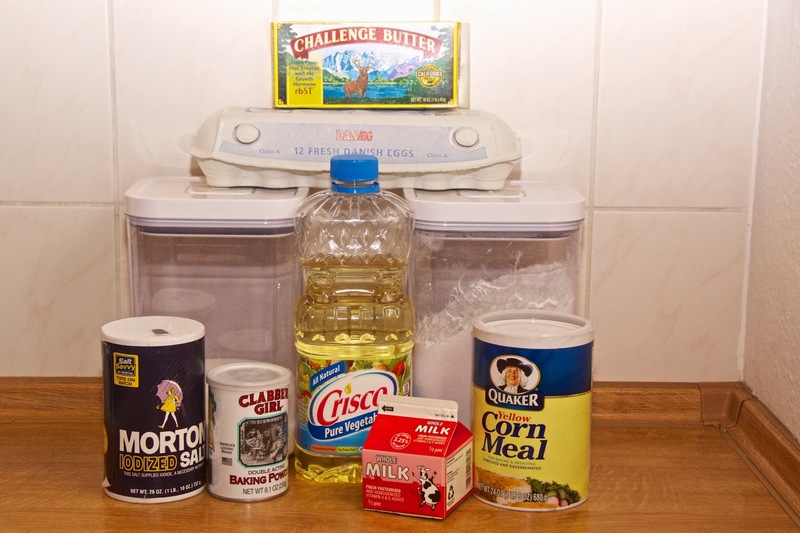 To your well (or not), add the following: ⅓ cup vegetable oil, 3 tablespoons melted (but not hot!) butter, 2 beaten eggs, and 1 ¼ cup whole milk. You can lighten the fat content here with 2% milk, but I don't think the cornbread is as moist and tasty that way. Up to you! Taking a picture one-handed… not as easy as it looks! Pour it all into a greased and floured 9x9 baking pan, then pop into a pre-heated, 350 degree oven for 25-28 minutes. I'm desperate to try this recipe in a cast-iron skillet. You can fully expect an updated post with alternate cooking methods once I've tested those ideas out. Keep an eye on your cornbread, as all ovens are different. You don't want to dry the bread out! Test with a toothpick. If it comes out clean, or with only a few crummies clinging to it, your bread it done. The edges will be lightly browned, the center a golden yellow. Cool in pan for 15 minutes before slicing. You should make honey butter to go with your cornbread. No, you MUST make honey butter for the cornbread. In fact, don't even bother to make the cornbread unless you plan to make a honey butter accompaniment! Seriously though, the butter makes the bread here. What was once a typical cornbread recipe transforms into magic with this honey butter. I know what you're thinking… what makes this butter so special? Well, I'll tell ya. 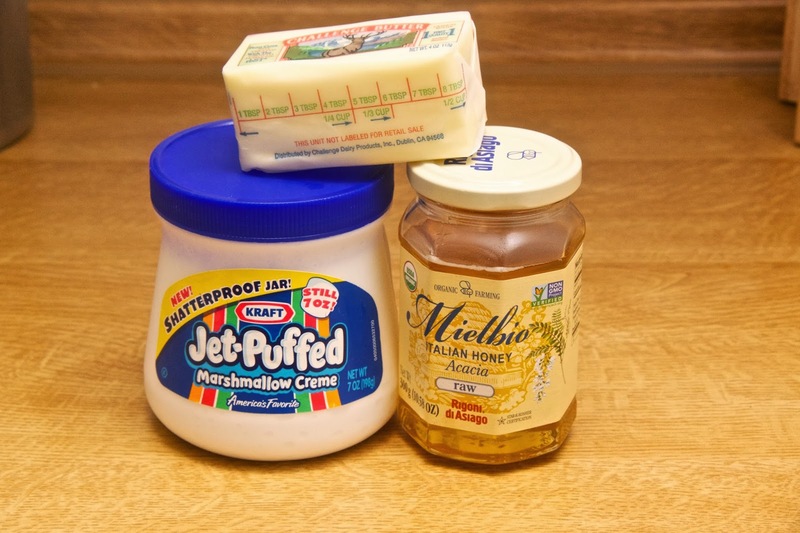 Most people make honey butter with only two ingredients, the obvious butter and honey. HA! 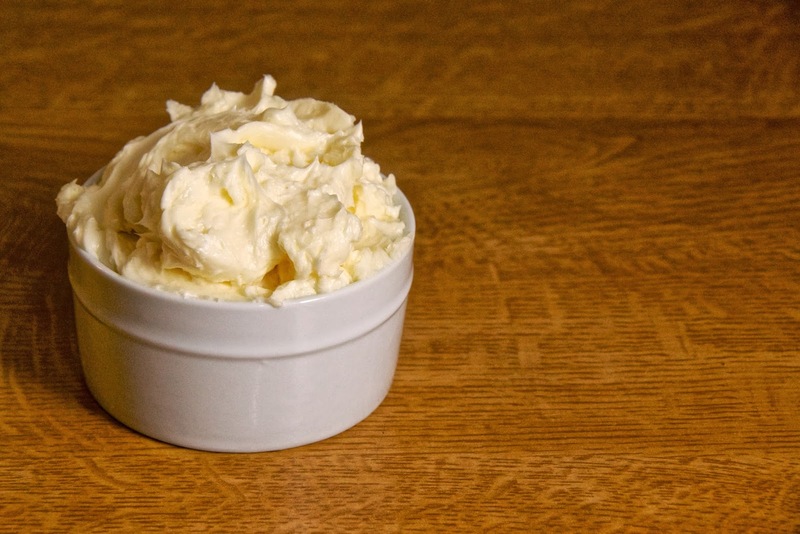 The secret to perfect honey butter is actually… marshmallow creme! Or fluff, whatever your preference. This is so easy to make, there isn't an excuse not to. Simply whip together 1 stick of softened butter with an ⅛ cup raw honey and ¼ cup marshmallow creme. Viola! Your friends will think you're a genius, and your spouse will worship you from a honey butter induced coma. Take the time people…. eat perfect honey butter. You won't regret it. I guess that's all for today! 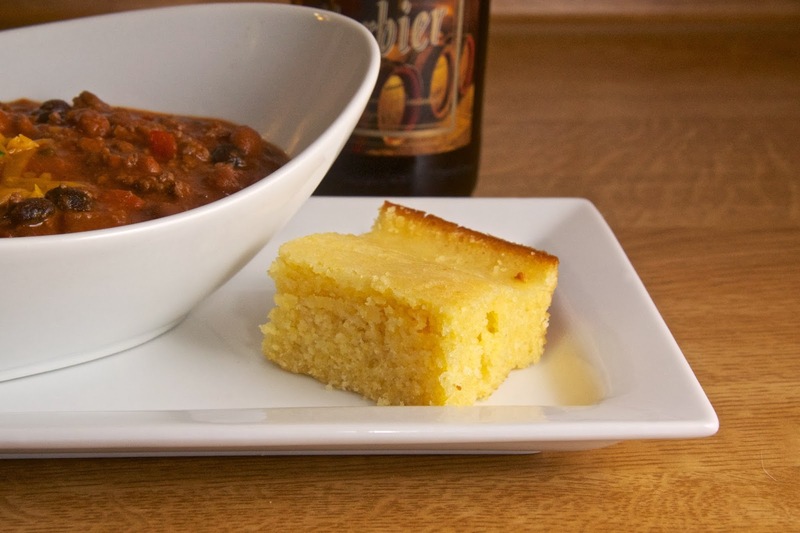 Especially on these chilly winter nights, chili and cornbread make a great dinner. The Hubs and I often make a double-batch of the chili and freeze half for a later date. So warm up your evening soon, and let me know what you think. Happy cooking, my friends! As always, the standard recipe is below. 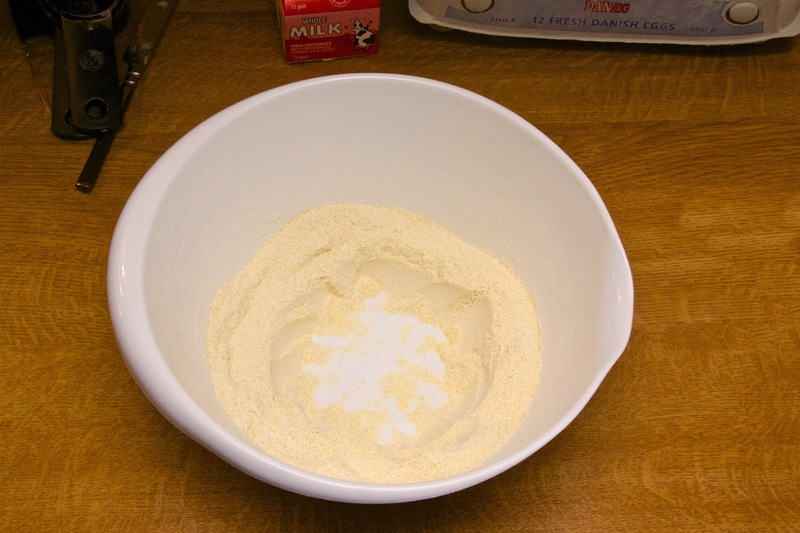 For the cornbread: Mix together the dry ingredients and make a well in the center. 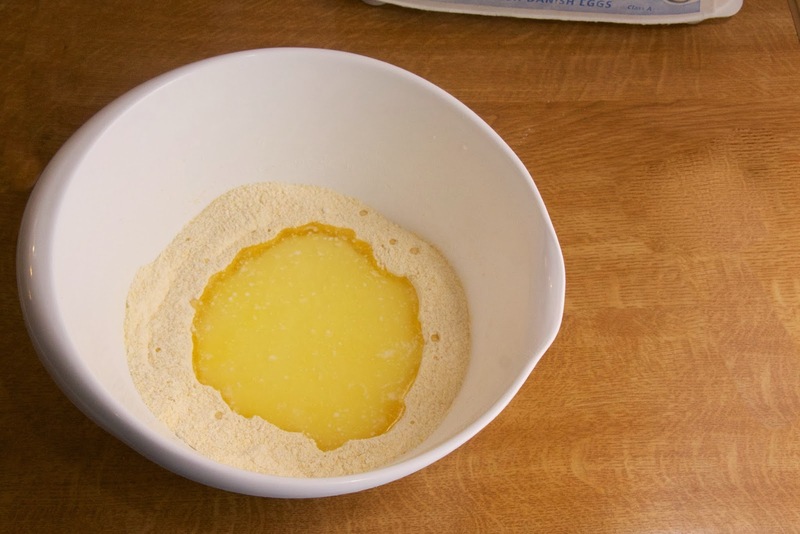 To the well, add the oil, butter, beaten eggs, and the milk. Stir until just combined. The batter will be a little runny. 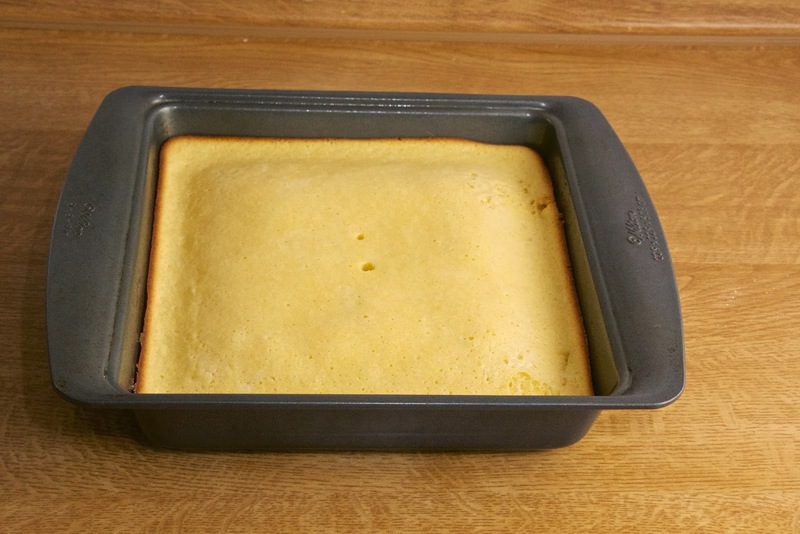 Spread the batter into a greased and floured 9x9 pan. Bake at 350 degrees for 25 - 28 minutes. Cool 15 minutes in pan before slicing. For the honey butter: Whip together all the ingredients for the honey butter and then serve at room temperature with the cornbread. The butter can be chilled and refrigerated for up to 10 days. Soften at room temperature before serving again.